Backpacker takes notes in a notebook outdoors. Campground in nature. 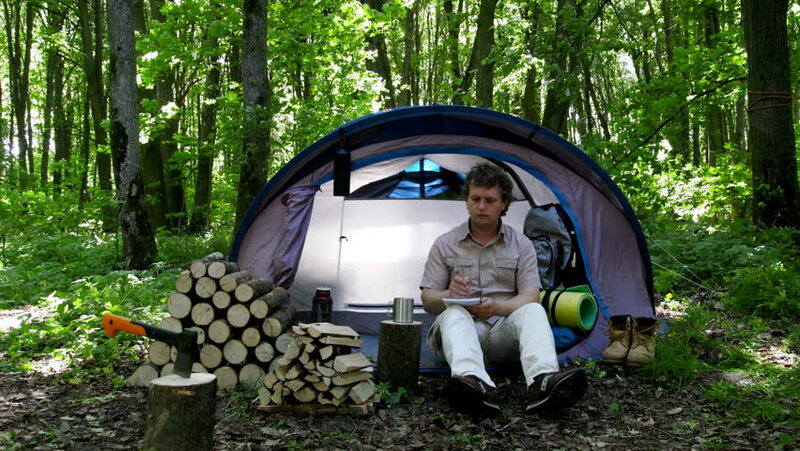 4k00:15Backpacker takes notes in a notebook outdoors. Campground in nature. 4k00:13Backpacker takes notes in a notebook outdoors. Campground in nature. hd00:16A burning fire and logs burn in the background of a tourist tent. hd00:13Traveler man sitting near the tent and reading book. 4k00:07Baby carriage rides on a forest road. Close-up of the wheels. 4k00:13a male tourist arranges a tent on the edge of a steep coastal shore in a pine grove with a magnificent view of the seascape. 4k. hd00:15One man warms himself by the campfire outdoors in the woods a spring evening. 4k00:10Backpacker uses a smartphone outdoors. Campground in nature. 4k00:10Backpacker uses a tablet outdoors. Spring green forest.